At Medi Tresse, we strongly recommend that all of our hair loss patients be on a hair supplement, whether it is Nutrafol® or Viviscal®. Most people do not get the necessary vitamins and nutrients through our everyday diets, and supplements like Nutrafol® or Viviscal® not only provide these key nutrients, but also offer other supplements that have been shown to improve hair growth and hair health. If you are interested in learning more about hair supplements do not hesitate to contact our office. 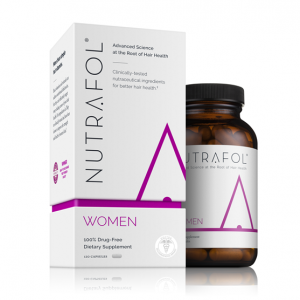 Nutrafol® is made with all-natural ingredients and is free of gluten, wheat, and shellfish, and binders. Nutrafol® includes the following key ingredients for the treatment of hair loss: Evnolmax®, Sensoril® Ashwagandha, BCM-95® Biocurcumin, Saw Palmetto, Cynatine® HNS, and Biotin. It takes at least three to six months before you will start to see the benefit of Nutrafol®, but for many patients it can take up to year. While some patients experiencing short term hair loss like telogen effluvium, may only take Nutrafol® for a year, we would recommend taking it as long as you want to help maintain healthy hair. 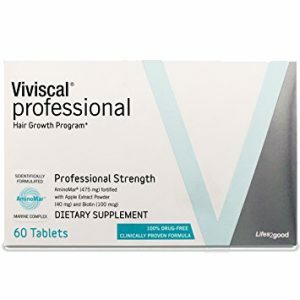 Viviscal® was developed in the 1980’s and has been one of the leading hair loss supplements for many years. Scientifically formulated with marine complex AminoMar, Viviscal® helps to nourish thinning hair from within and promotes existing hair growth. At Medi Tresse we offer patients Viviscal® Professional, which is only available at medical practices and select salons.